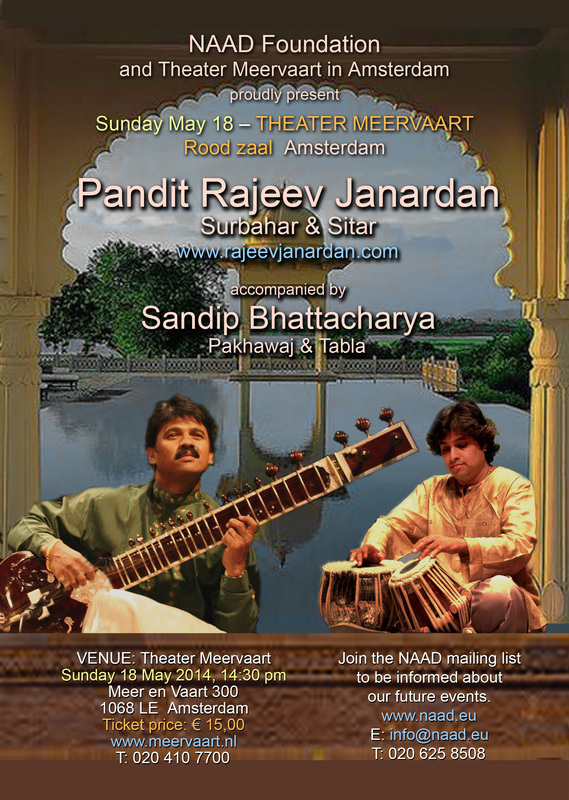 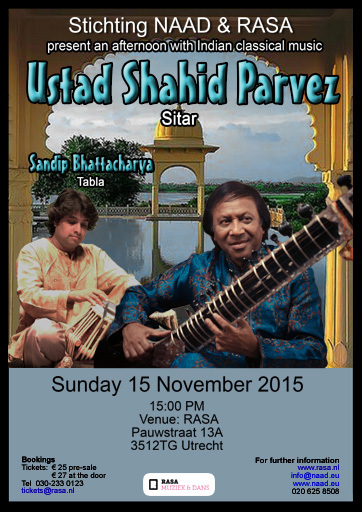 www.shahidparvezkhan.com Ustad Shahid Parvez Khan’s dazzling virtuosity and innovative genius have earned him a legacy as a giant of the sitar. 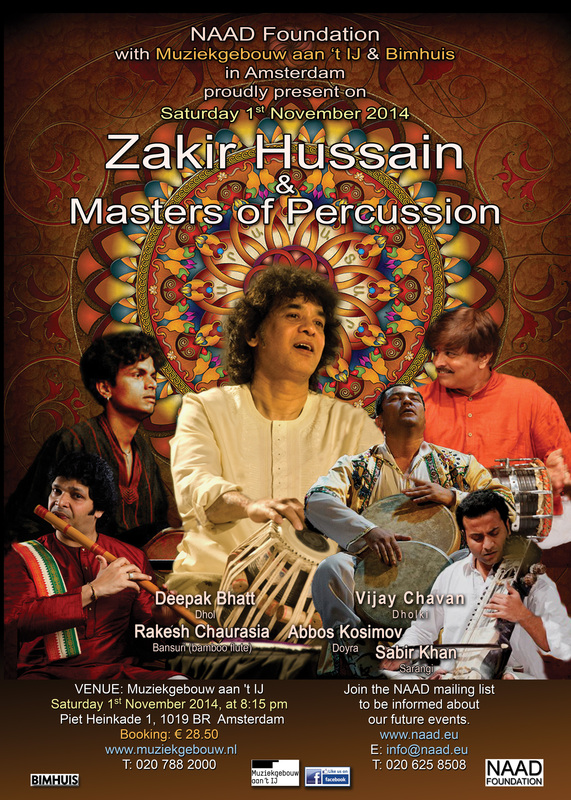 By way of sheer precision and an astute artistic sense, he has made for himself a place in the limitless, infinite universe of Indian classical music. 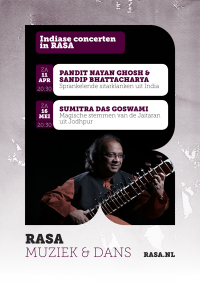 He sums up his mastery of this most intricate art form with a profoundly simple philosophy: “music is my life”. 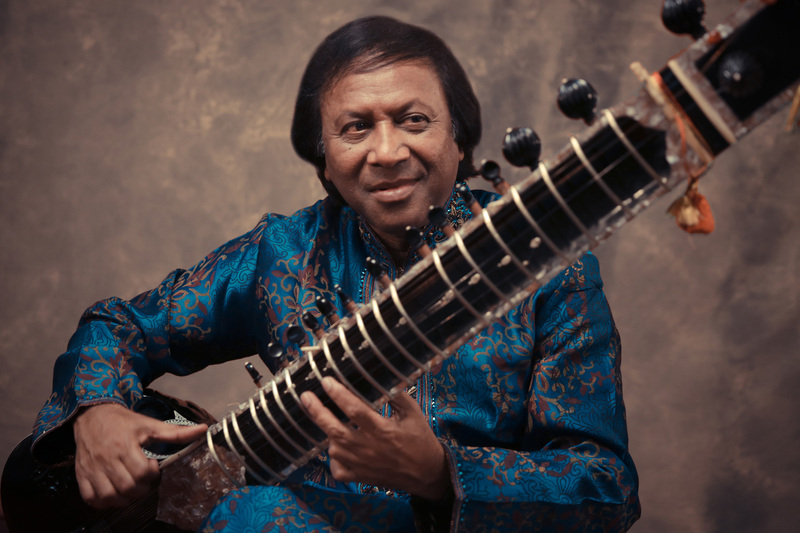 For Ustad Shahid Parvez Khan, the Sitar and Self are identical entities, and music is not just a discipline but life itself – vibrating and pulsating and full of colour. 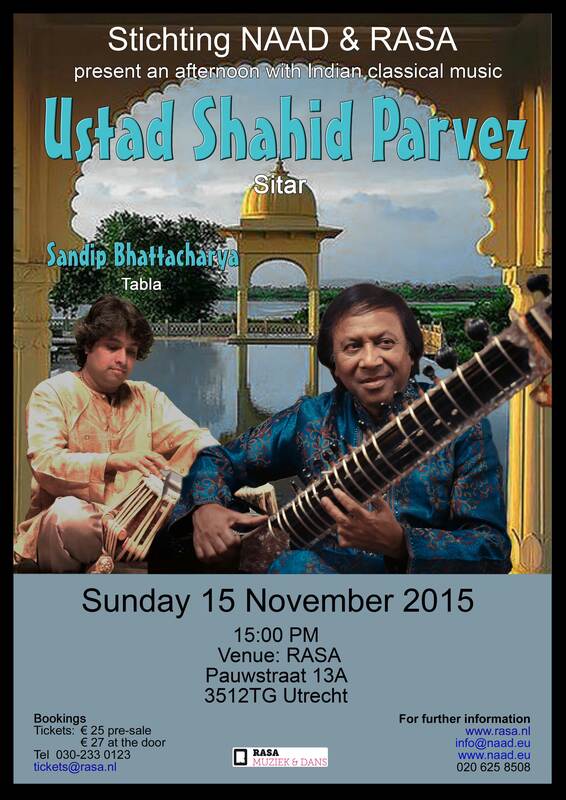 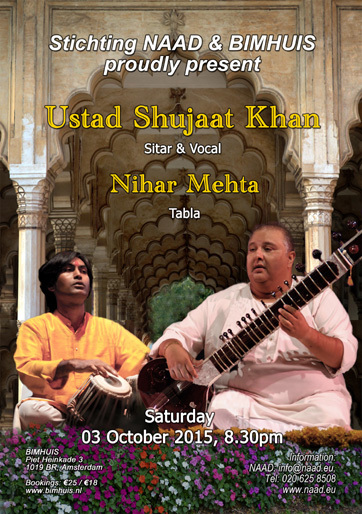 Ustad Shahid Parvez Khan descends from six generations of sitarists. 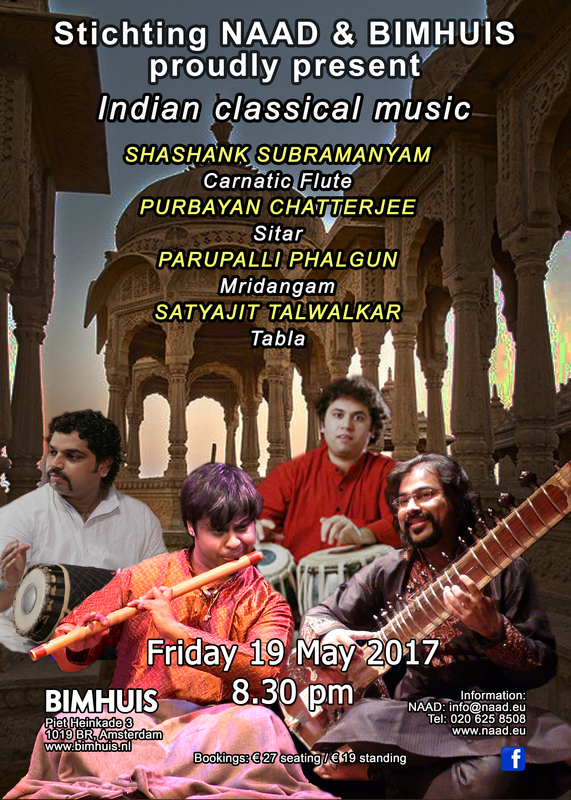 He is one of the leading exponents of the Etawah Gharana, a musical tradition or “family” committed to this most famous of Indian instruments. 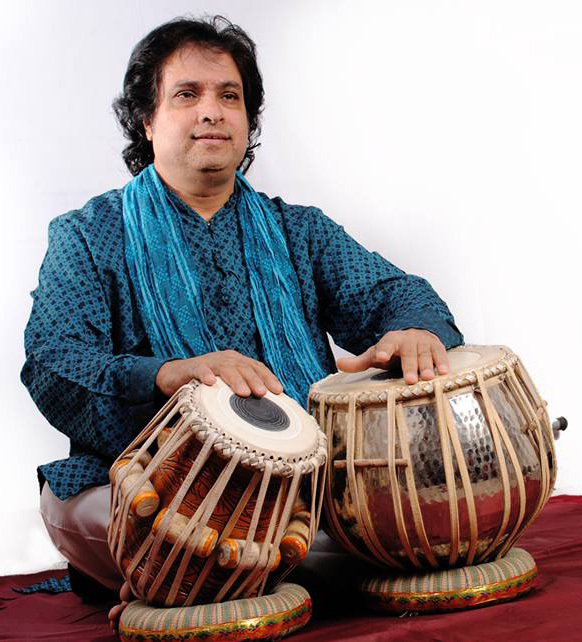 He was trained by his father and guru, Ustad Aziz Khan.The traditions of the Etawah Gharana have remained vital and productive in Ustadji’s hands. 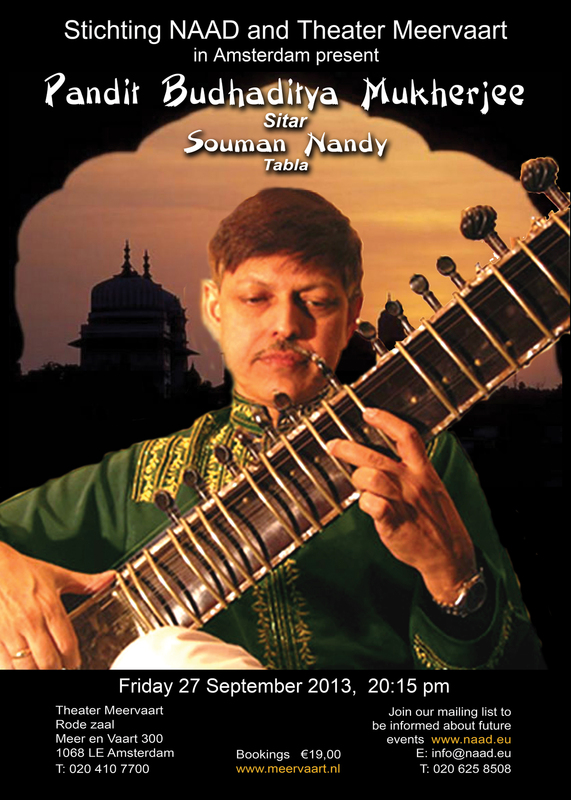 He has worked hard to emphasize the unique capabilities of the sitar itself, introducing highly energized and rhythmically innovative instrumental play (tantrakari) into a tradition heavily reliant on the models of classical vocal music (gayaki ang). 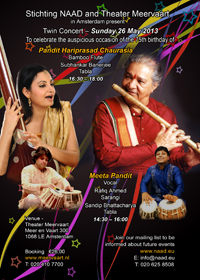 Sandip Bhattacharya is a prominent name among Indian music lovers. 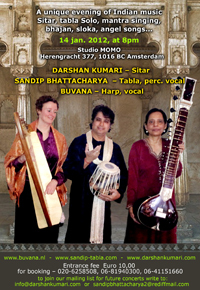 He was born and raised in India’s oldest cultural and holy center, Benares. 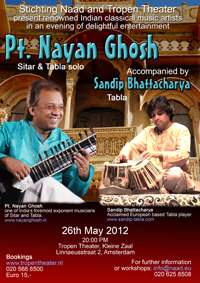 Sandip trained under his illustrious Tabla Guru Pt. 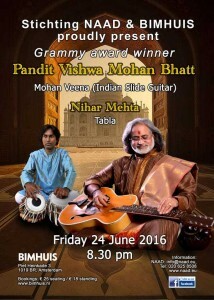 Ishwar lal Mishra, (Benaras ) in the tradition of the legendary tabla maestro Pt. 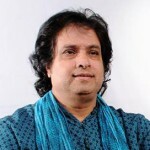 Anokhe lal Mishra. 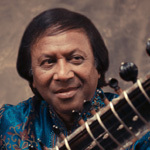 He has performed and recorded Indian classical music alongside many of its greatest exponents, including Pandit Hariprasad Chaurasia, Prabha Atre and others. 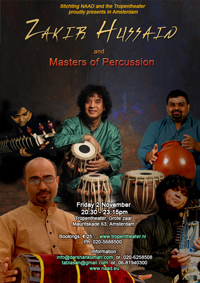 Besides mastering the Benaras style of tabla, he also studied the Farukhabad and Ajrara style. 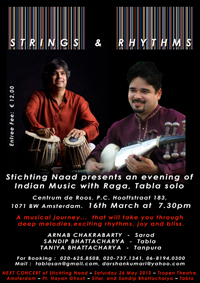 In his Tabla playing he combines these beautiful styles together, which is a very unique. 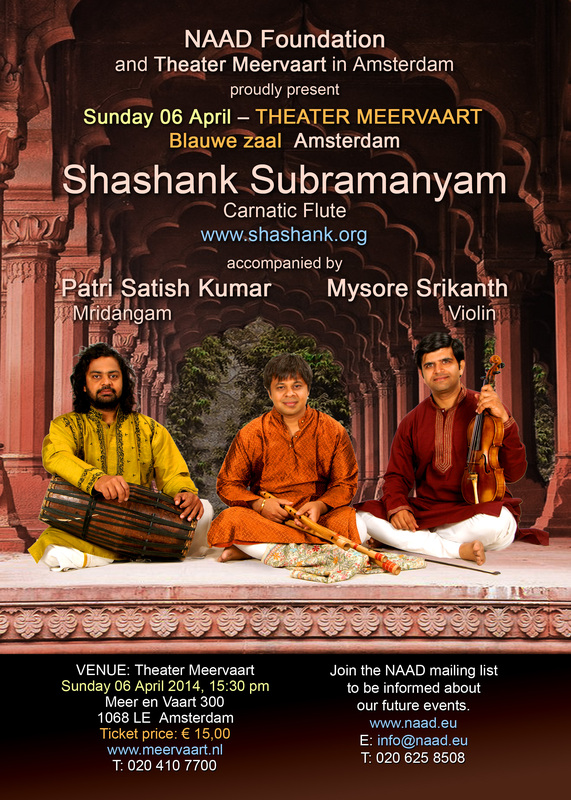 informed about upcoming NAAD activities and concerts.